2015/01/15 von Alexander John Huston. Lesezeit: weniger als eine Minute. Rooftop metamorphosis design proposal for the new owner of T195. American Rapper takes over the haunted „T195“. JohnHustonArchitects sketch his desired Pink Funeral rising of the 70m2 Rooftop apartment. 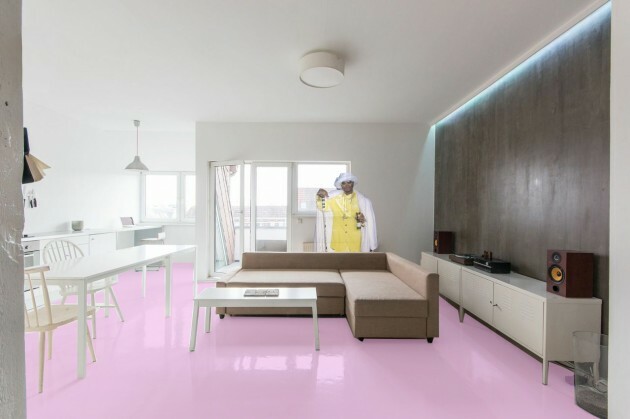 Includes complete pink rubber floor, new surface low terrace windows and full-blown pink dipped bathroom.